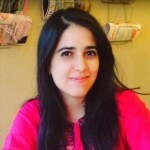 In recent times, Pakistan has, unfortunately, earned a notorious reputation where health care is concerned. Be it polio or hepatitis C, we continue to make headlines for being the country with the highest number of cases, around the world or in the region. It is not surprising then that Pakistan has the third highest death rate for pneumonia in the world, particularly in the paediatric population. Pneumonia is an acute infection that affects the lungs. It can be caused by viruses, bacteria or even fungi. It presents with cough, difficulty in breathing, loss of appetite, and wheezing with or without fever. According to World Health Organisation (WHO), it is the most common cause of death caused by infection in children under the age of five worldwide, and most prevalent in Asia and Africa. Pakistan alone accounts for 92,000 out of a total of 900,000 deaths in children under the age of five due to pneumonia worldwide. Considering that it can easily be prevented by immunisation, adequate nutrition and reducing household pollutants, why is it that so many children succumb to the disease in Pakistan? One of the reasons could be the lack of awareness and misconceptions regarding vaccination. Although the vaccine is available for free under the Extended Programme on Immunisation (EPI), 46 per cent of the children in Pakistan are still not immunised. The same reason has accounted for the alarming number of polio cases in the country over the past years. Unfortunately, under the shadow of other infectious diseases in the country like polio, pneumonia, which claims thousands of lives every year, isn’t given enough importance. Another reason is the rising issue of malnutrition among our children. Malnutrition can lead to weakening of the immune system, making a person vulnerable to infections. Children who are not exclusively breastfed can suffer from malnutrition and are 15 times more likely to die from pneumonia than those who are breastfed. About 40 per cent of children under the age of five in Pakistan suffer from malnutrition. 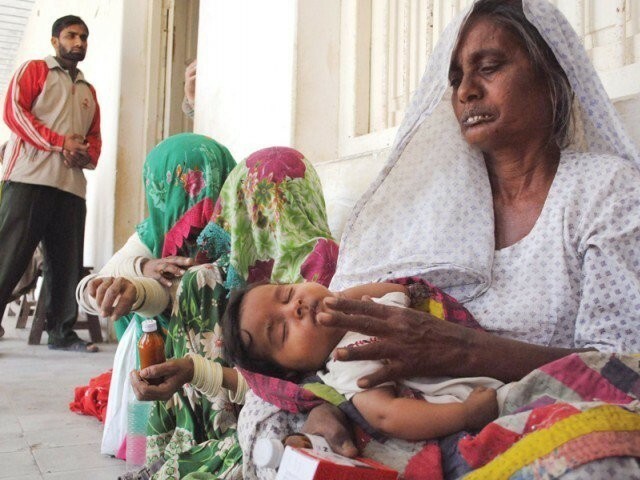 According to Pakistan Pediatric Association (PPA), the death rates due to pneumonia have increased particularly in Sindh, simply due to malnutrition. Environmental factors such as indoor air pollution from using biomass fuels like wood or dung as well as parental smoking can also lead to susceptibility to the disease. It is important to mention here that pneumonia is a disease that can also prove to be fatal in the elderly. People older than 50 years of age, particularly those with chronic lung diseases or those with compromised immune systems like diabetes, should also be given a pneumococcal conjugate vaccine, which gives lifelong protection against the disease. November 12th is World Pneumonia Day, and on this day, it is important that we renew our commitment to fight against this deadly disease. It is important to spread the message of immunisation and create awareness among the masses. Parents should be aware of the signs of pneumonia in children and encouraged to seek treatment if they notice them. Also, many of the rural areas still lack basic health facilities and as a result, children who fall ill due to the disease are unable to get treated. In a country that spends only 0.4% of its GDP on healthcare, according to the Pakistan Economic survey 2013-14, it is the need of the hour to establish more healthcare facilities and make them accessible for all. Pakistan is a hub of infectious diseases, primarily due to a lack of long-term commitment and preventative measures on the part of the government. We have failed to control the spread of polio, and we are failing on other fronts including the failure to control death rates from pneumonia. It is high time that the rulers of this country realise that the health of its citizens is a top priority; it can pave the way to prosperity and improved quality of life. Only with a healthy mind and body can we hope to move forward steadily and not crumble beneath the burden of disease and despair. A doctor by profession who is an avid reader with diverse interests including medical research, political affairs and sports. Are we safe from the Ebola disease?